A credit card debt consolidation loan may be a viable option for you if you are at a point where you are ready to proactively manage your debt rather than add to it. Debt consolidation loans have pros and cons. If you qualify, you have the potential of lowering your overall interest rate and replacing lots of credit card payments with one single remittance each month. When you get your consolidation loan, you pay off all of your creditors and zero out your card balances. 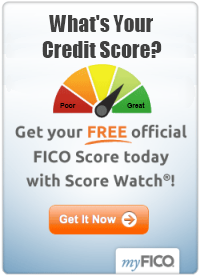 Yet, it may be tricky to qualify if your credit is already poor. You may be required to back or secure your loan with your home or car – and then risk losing your property if you default on monthly payments. You also need to look out for high interest rates. Make sure your loan has a lower rate than what you currently pay on your credit cards... or it simply isn't worthy getting. You may like the fact that, in some cases, your monthly payments for the consolidation loan may be lower than what you are currently paying. Yet, you may be writing those monthly checks for a long, long time. So you need to calculate the total you will end up paying with the loan vs. the total amount you will spend continuing to payoff each of your credit cards individually. Then, let the numbers guide your decision. 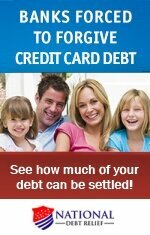 To learn more about the benefits of getting a credit card debt consolidation loan, click here. You also may want to consider other consolidation options. For information on your choices, click on this link: Debt Consolidation Advice. Local Financial Institutions - Unsecured Loans: Your local bank where you regularly do business, or a credit union in your neighborhood, can be a good source for trying to get an unsecured credit card debt consolidation loan. Of course, whether you need to put up collateral depends on your credit history. Since you already have an existing relationship with these financial institutions, chances are they may go the extra mile to help you out with a loan, and earn more business from you. Local Financial Institutions - Secured Loans: If you can't qualify for an unsecured loan, you can opt for a secured loan with collateral, or even a home equity loan. With a secured loan, you will likely get a lower interest rate. But, you must be sure you can make all of your payments on time. That's because it is no longer just your credit reputation that is on line, but your home as well. For a secured credit card debt consolidation loan, contact your bank, mortgage company, or any financial institution you trust. Current Credit Card Companies: If you are in good standing with one or two of your credit card providers — where you pay your bills on time and have never defaulted — call and see if the company will consider lowering your interest rate and increasing your credit line. Tell the representative you are interested in transferring balances from your other cards. Alternatively, if the credit line on one of your existing cards is sufficient, you can request a lower balance transfer rate over the phone. Card terms, like credit lines and interest rates, are sometimes negotiable to an extent, if you have good credit history. For this approach, just pick one or two reputable creditors with whom you feel you have your best chance, and leave it at that. Any credit line increase will appear on your credit history and you don't want too many to show up at once. Also, watch out for promotional rates that are temporary. You don't want to transfer your balances to a new card and then, three months later, have a higher rate than you expected. Once you successfully transferred or consolidated your credit card balances, make every attempt to restrict your monthly spending. Establish a monthly budget and live within your means. And, whatever you do, don't touch those freed up credit cards until you are completely done paying off the consolidation loan. Then, exercise caution with your spending so you don't slip back into an unmanageable debt situation.